Summary (from the back of the book): William Kamkwamba was born in Malawi, a country where magic rules and modern science was mystery. It was also a land withered by drought and hunger. 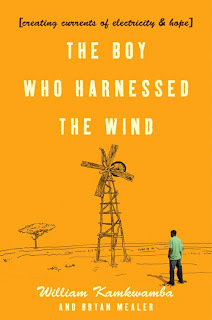 But WIlliam had read about windmills, and he dreams of building one that would bring to his small village a set of luxuries that only two percent of Malawians could enjoy: electricity and running water. His neighbors called him misala-crazy--but William refused to let go of his dreams. With a small pile of once-forgotten science textbooks; some crap metal, tractor parts, and bicycle halves; and an armory of curiosity and determination, he embarked on a daring plan to forge an unlikely contraption and small miracle that would change the lives around him. 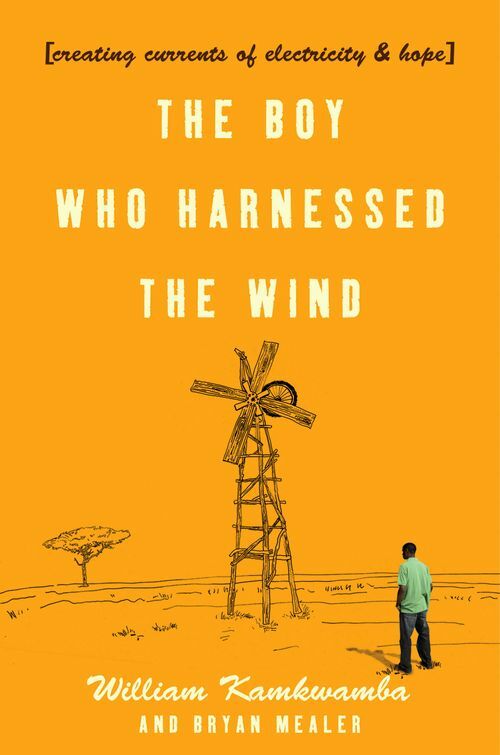 Review: William's story is so much more than the story of one boy and his brilliant quest for a windmill. 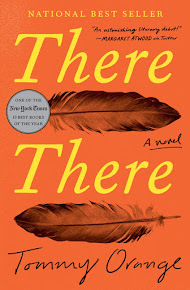 The first half or more of the book is William's story: of his village, his family, his friends, and what his day to day life is like. And, life wasn't easy. The descriptions of education are the ones that struck me as students who want to go to school are denied entrance or are barred from attending because they cannot pay tuition or don't have the proper uniform. The schools do not have proper supplies, books, or even desks. These are conditions that we wouldn't stand for in the States, but in Malawi, it is par for the course. The fact that William was a drop out from age 13 through 18 is even more testament to his resiliency and drive to learn. He went to the local library to check out physics books because that's the stuff that interested him! What teacher wouldn't want a student like that?! The other stories that broke my heart were those of the famine suffered by the Malawians in the mid-2000s. As I think whenever stories such as these hit the news, there is no reason for people on this planet to starve. We have surplus in other parts of the world and if we had a better system of sharing and caring, we could save the lives of so many. I thought the last quarter of the book, when William attends various conferences about science, technology, and innovation, was really interesting, not only because of the opportunities he received, but because of his insights into Malawi itself. He writes of how the electricity he provides his village is more reliable than the government provided electricity in the cities, how his government has only a few huge computers while the rest of the world has laptops. The dichotomy between opportunities for rural Malawaians and those of us in the "western" world are painfully obvious.